Come to Chaise Lounge this Labour Day weekend for for all the fun and excitement that is the annual Black & White Party. Featuring DJ Rod G and Kah Lua spinning the best hands-in-the-air rnb anthems, these tunes will be sure to get the twenty-somethings loose and friendly. 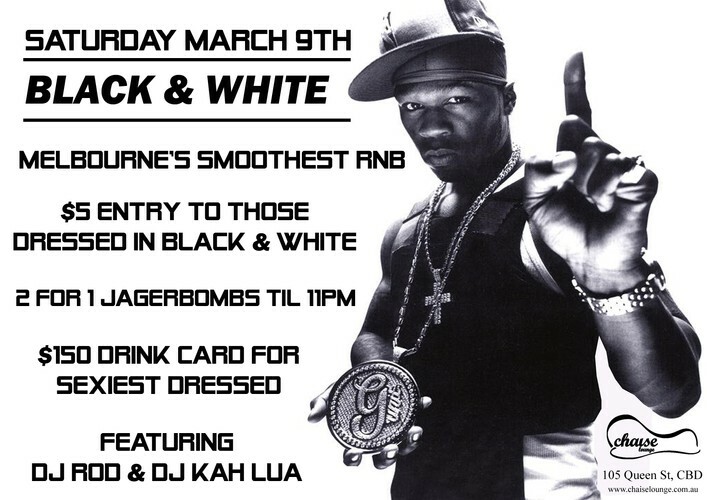 Free entry before 10.30pm, and $5 entry all night to those dressed in black and white. Guestlists to chris@chaiselounge.com.au.